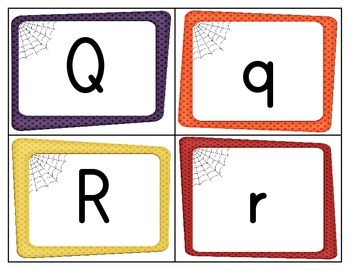 Engage your students in a fun Halloween letter recognition game. 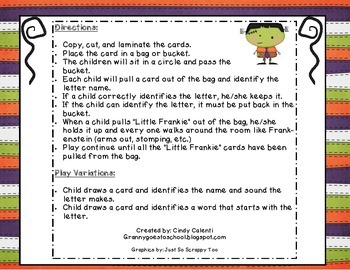 Students draw letters (upper and lower case) from a bag and name them before passing the bag along. 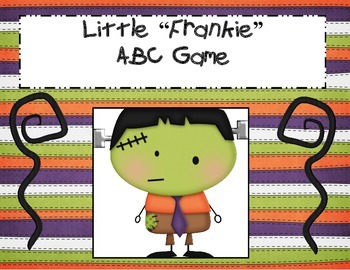 The bag also contains 4 "Little Frankie" action cards that signal some fun Frankie stomping!